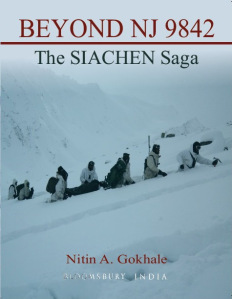 Well-known defence analysts and NDTV’s Security & Strategic Affairs Editor Nitin A. Gokhale has just authored a book Beyond NJ9842: The Siachen Saga. The book focus on the little known aspects of Operation Meghdoot launched by India exactly 30 years ago on 13 April 1984, to secure the Siachen glacier–now known as the world’s coldest and highest battlefield–from any Pakistani occupation. In an interview with rediff.com he elaborates on the book and the significance of Operation Meghdoot. How have the reactions to your book been?